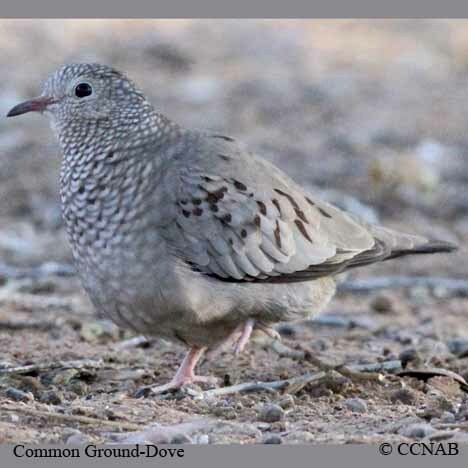 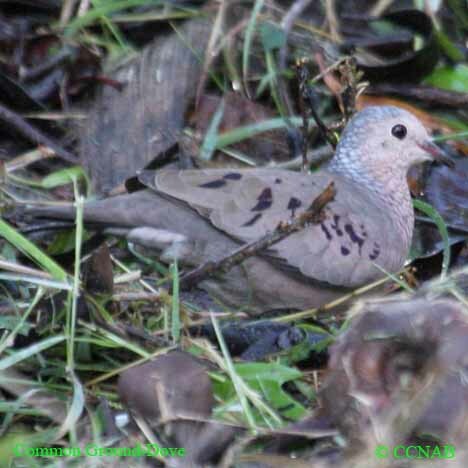 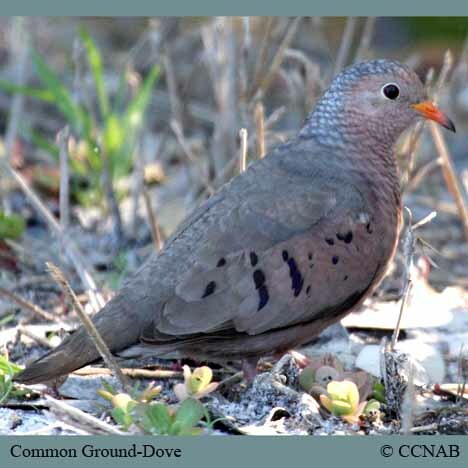 The Common Ground-Dove is the smallest dove seen in North America. 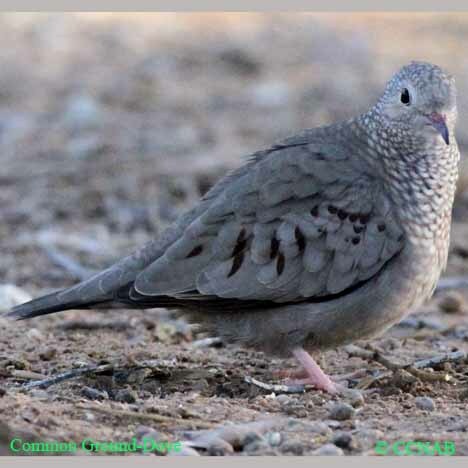 It ranges in colours from grey to hints of blue, sometimes shades of reddish orange, depending on the sexes, the male shows more signs of red. 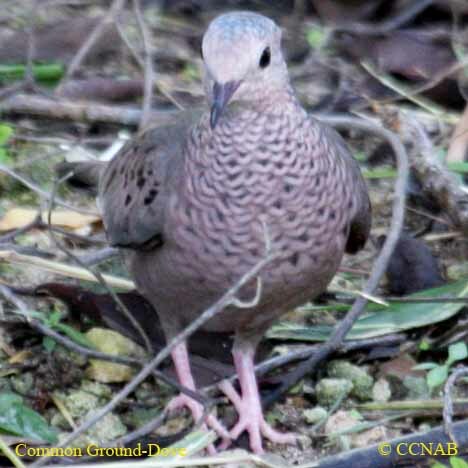 This little dove is found in forest and grasslands throughout the southern perimeters of the United States, the Caribbean Islands and Mexico.